Proximity Switch | Reed | 5580 | PHD, Inc.
Series 5580 Reed Proximity Switches are available for use on select PHD products making it easy to interface these actuators with various electronic controls. They are ideal for use as inputs for many types of sequencers and programmable controllers. In some cases, they can be used to drive some relays or valve solenoids. 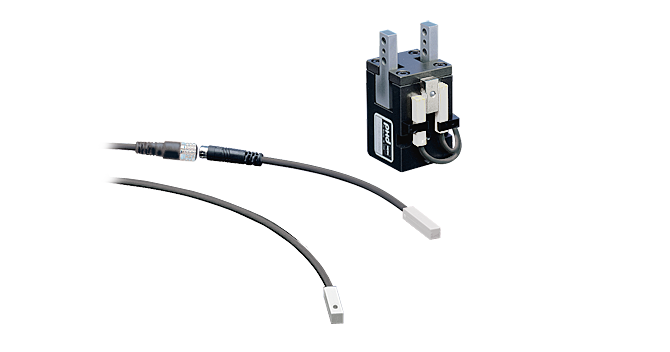 Series 5580 Reed Proximity Switches are available in a DC model. To be used on most Tom Thumb/PHD products. IEC IP67 rating. Adjustable mounting for versatility. LED provides convenient means for positioning and troubleshooting. DC service only.